Are you looking for landscaping help in Great Falls VA? Whether you need a weekly mowing service or want to build an extensive patio space, O’Grady’s Landscape is your one-stop-shop for all your landscaping needs.At O’Grady’s Landscape, our landscapers are experienced in all aspects of design, build, and maintenance, allowing us to provide a comprehensive service package. Learn more about our landscaping services in Great Falls VA.
We are experienced in creating thoughtful and creative, yet affordable, designs. Based on your wants, needs, and budget requirements, we work with you to design a product that reflects your ideas and sense of style while maximizing functionality in your outdoor space. We draw on years of experience and use a broad range of materials for each project, creating one-of-a-kind landscape designs. 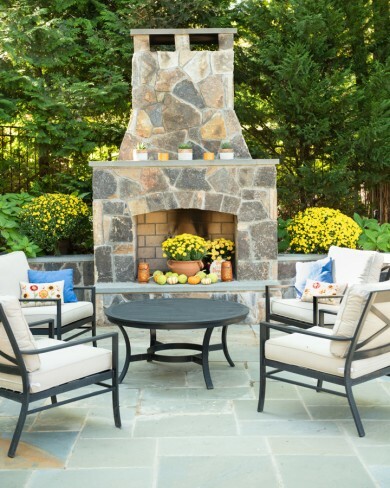 Learn more about our landscaping design in Great Falls VA.
At O’Grady’s Landscape, we design, build, and install custom hardscapes in Great Falls, working closely with each client to create the perfect design. Our hardscape services include all types of landscape masonry work—which means we can build anything from patios to walls to walkways and more, using a wide variety of materials to do so. Learn more about our hardscape services in Great Falls VA. Looking to dress up your landscape with plantings, shrubs, trees, or colorful flowers? The right landscape plantings can add visual interest and seasonal color to your home, improving the overall look of your property and adding a splash of color to your landscape design. O’Grady’s Landscape can help you with all aspects of planting. From the selection process through plant installation, we’ve got all your needs covered. Learn more about our plant installation in Great Falls VA. When you choose us for your landscaping project, you can be confident that we’ll respond promptly to your request for a consultation and get you an estimate within a week. And we’ll continue to provide you with a higher level of support through completion of your project so you won’t be left with any surprises when we’re done. Learn more about our general landscaping services in Great Falls VA.
Are you looking for the perfect outdoor lighting system to complement your landscape design? At O’Grady’s Landscape, we understand how important landscape lighting is to the overall look and feel of your property. Not only does it extend the use of your landscape so you can enjoy the views in the early mornings or late evenings, but it also improves safety in your property and can bring out all the beauty your landscape has to offer. Learn more about our outdoor landscape lighting in Great Falls VA. Lawn maintenance is essential to keeping your grass green and your property looking beautiful. But it can be time-consuming and tedious, especially if you don’t like to garden or have a busy work schedule. Fortunately, you don’t have to do it on your own—O ’Grady’s Landscape can handle all your lawn care needs so you won’t have to! Our uniformed mowing crews offer courteous and professional service, while enhancing the quality and appearance of your lawn. Learn more about our lawn maintenance services in Great Falls VA.
You’ve commissioned us to install a custom landscape design filled with landscape plantings, hardscapes, and breathtaking views. It looks gorgeous—but in order to keep it looking as beautiful as the day it was installed, you’ll need to properly maintain it. At O’Grady’s Landscape, our landscape crews handle your needs professionally and efficiently so you won’t have to worry about performing landscape maintenance yourself. We can provide you with routine service scheduled at intervals that suit your needs and budget or schedule visits as needed, including seasonal services, like mulching. Learn more about our landscape maintenance services in Great Falls VA.